The mullahs supposed that especially the young and inexperienced would be terrified but this was a bad miscalculation. They paid respect to the bodies and loudly chanted slogans against the regime in the prison yard. 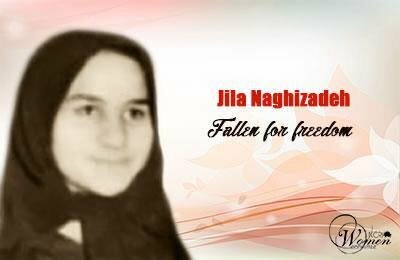 One such prisoner was Jila Naghizadeh. Jila was only 17 years old and had not even finished high school. She was a smart young teenager who wished to see her country free and flourishing, so she joined the PMOI. She was very much against the mullahs and their oppression, so she was among the resistant prisoners despite her young age. They had flogged her badly and sentenced her to death to force her cooperate with the regime and go on TV and “repent”, but she refused to do so and finally paid a courageous tribute to the bodies of Ashraf Rajavi and Moussa Khiabani, for which she was executed on February 9, 1982.